GameLengths - Average Play Times for Tom Clancy's H.A.W.X. Aerial warfare has evolved. So have you. 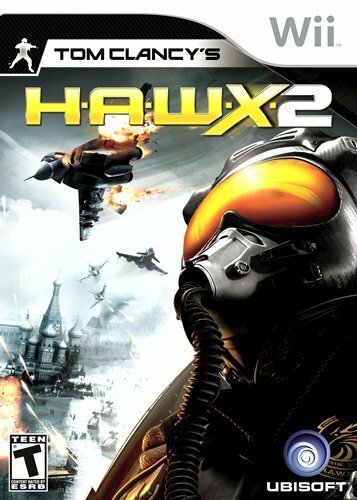 As a member of the ultra-secret HAWX 2 squadron, you are one of the chosen few. One of the truly elite. You will use finely honed reflexes, bleeding-edge technology and ultra-sophisticated aircraft ��� their existence denied by many governments ��� to dominate the skies. You will do so by mastering every nuance of the world���s finest combat aircraft. You w... See moreill slip into enemy territory undetected, deliver a crippling blow and escape before he can summon a response. You will use your superior technology to decimate the enemy from afar, then draw him in close for a pulse-pounding dogfight. You will do all this with professionalism, skill and consummate lethality. Because you are a member of HAWX 2. And you are one of the finest military aviators the world has ever known.